I really like Dr. Durrani. He did not rush the visit like many doctors do. He ran through his thought processin diagnosing my issue, he obviously knows his specialty. Has a great bedside manner, making me feel comfortable discussing my ailment with him. I really like Dr. Durrani. He did not rush the visit like many doctors do. He ran through his thought process in diagnosing my issue, he obviously knows his specialty. Hasa great bedside manner, making me feel comfortable discussing my ailment with him. Very nice doctor, with great bedside manner. Took his time talking with me and explained everything throughly. All of hisstaff is wonderful as well!! Very nice doctor, with great bedside manner. Took his time talking with me and explained everything throughly. All of his staff is wonderful as well!! Once your appointment has been scheduled, you will receive an email from our office to complete your patient forms. The forms on zocdoc do not cover what we need at check-in. Our practice uses an Electronic Medical Record (EMR) and you will receive an e-mail inviting you to the Patient Portal once you are registered as a patient. You will also receive an e-mail reminder prior to every appointment which will allow you to complete/update the information you would have entered in ZocDoc. You will be able to complete this information in the privacy of your own home or on your phone. We value your time and do not want you to waste your time completing the ZocDoc online forms. 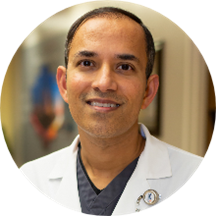 Dr. Durrani is a 2nd-generation, board-certified urologist trained at the Harvard-affiliated Massachusetts General Hospital (MGH) in Boston, the Lahey Clinic, and the University of Pittsburgh (UMPC). He was selected "Physician of the Year" at HCA Houston Healthcare West Hospital in 2014 where he served as Chair of Surgery and presently as Chief of Staff (2018-2020). He shares the same focus on improving patient care and patient satisfaction at the hospital as he does in his office practice. Dr. Durrani and his staff specialize in traditional urology along with a focus on male and female sexual dysfunction (including the most advanced treatments for E.D. and testosterone replacement in men as well as the latest treatments for women's sexual health problems related to the loss of estrogen after menopause). He and his staff have also introduced several traditionally cosmetic-related services under the care of an aesthetician for those looking to "look better, feel better, and live better". Their aim is to deliver expert urologic along with these services in a boutique practice setting. "Rated Top Urologist" in the 2017 Issue of Living Magazine's Memorial Reader's Choice Winners. Dr Durrani was excellent. Reviewed research and all treatment options in a very patient manner, leaving decision to me. He’displays true expertise and up to date methods of treatment. I’m so glad I went to see him. I thought he was and is a great person and doctor. My visit was great and pleasant. Other doctors don’t take the time to hear you out, but he did. Great experience, Great Staff well worth the visit. Dr Omar is a very courteous, calm, and listener. He knows what he is doing and accurate in the diagnosis and treatment. His staff is also very courteous and efficient. I strongly recommend him. Very efficiently run office, friendly staff, friendly and patient doctor. Thank you. I think it was productive and all questions was answered and addressed in a professional way. He doesn't appear to be certain on how to treat my ailment. After the lab report, which showed that I was taking the wrong med's, he wanted to wait 2 or 3 more days on another lab report. Put a rush on it and get me out of my misery.